Let our professional assembly team take the hassle out of your installation process. Our unique services ensure that your home or business is set up quickly and efficiently. Every team member has many years of experience dealing with various popular brands, so your new furniture or equipment is in safe hands. Our flat pack assembly service will be tailored to suit your needs. When you first get in touch, we will listen to your requirements and then offer a convenient time to visit. We’re on call 7 days a week and all of our projects are closely managed. Here at Laguna Services, we recognise the importance of environmental consciousness. This means that we consider it our personal responsibility to remove any and all excess packaging from your property free of charge. As part of our eco-friendly service, we also aim to recycle all of our waste. Do I need to hire flat pack assemblers? While flat pack assembly may seem relatively straightforward in the beginning, it is often far more complex than people think. Once the package arrives and you see the numerous loose parts, assembling your furniture or equipment quickly can suddenly seem like a daunting task. Before we begin assembling, we will agree to a price that will not change. Our team believes in offering a transparent service, so you will never have to worry about hidden fees or any other unwanted surprises. 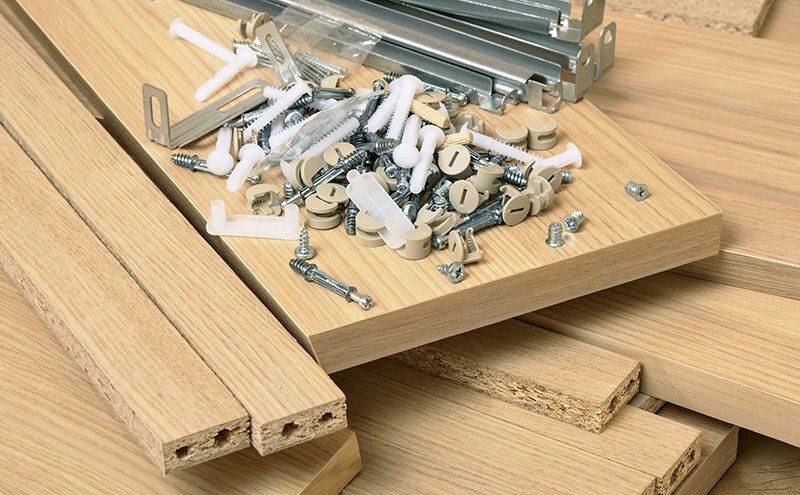 We can assemble anything that has been flat packed to use in the home. From gym equipment to large wardrobes, there is nothing we can’t set up for you. Our team members have experience with the majority of popular providers of flat pack furniture and equipment. The members of our flat pack assembly team have been selected for their diligence, training and passionate approach to what they do. Laguna Services will always arrive on time, ready to work, and be fully professional for the duration of the project.